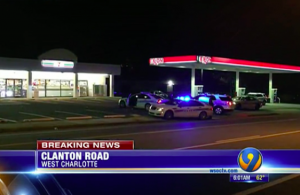 Kareem McLeod Killed in Charlotte Gas Station Shooting; Was This Tragedy Preventable? Could the senseless loss of this young man have been prevented and are justice and compensation available to Mr. McLeod’s family? Security measures are in question after 22-year-old Kareem McLeod “was shot in the parking lot of a 7-Eleven Exxon gas station on Clanton Rd. Friday night,” October 19, 2018, according to FOX 46. Police told WSOCTV 9 emergency responders transported Mr. McLeod to the hospital, where he tragically succumbed to fatal injuries. Investigators have not yet identified a suspect and it is unclear whether robbery is considered a motive. What security measures, such as bright lighting, monitored surveillance cameras, clear windows and sight lines, and visible security patrols, were in place to deter crime and protect Mr. McLeod at the time of the shooting? Generally, property owners are required to protect all those legally on the premises from any foreseeable harm. Should the facts of this matter reveal that the gas station owner or management failed to provide adequate security to protect those on its premises, Kareem McLeod’s family may seek justice and elect to pursue legal claims for their loss. The material contained in this post is not intended to constitute legal advice. As each Client is unique, please contact us for a free initial consultation on your particular case.